Gabrielle Rogers is a Voice, Accent and Dialect Coach. 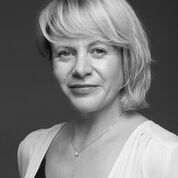 Gabrielle Rogers first started working in the film, television and theatre industries in the 1980s. Commissioned to create the NIDA Accents and Dialects database for the Rodney Seaborn Library, Gabrielle taught for ten years in the major acting academies in Australia before launching her freelance career as a voice and dialect coach for professional productions. Since then Gabrielle has been working solely as a voice and dialect coach to become one of Australia’s most sought after artists for voice, accent and dialect acquisition. Gabrielle shares her time between Australia and the UK where she works with Andrew Jack. Gabrielle was with Andrew for the shooting of Thor: Ragnarok , Avengers: Infinity War , Avengers: Endgame , and Men in Black International . Gabrielle was the key dialect coach on The Nightingale starring Sam Claflin, Aisling Franciosi, Baykali Ganambarr, Ewen Leslie and Damon Herriman. You can view her full filmography on IMDB. Most recently she was Rebecca Ferguson's voice and dialect coach on Doctor Sleep in the USA. Copyright © 2019 Gabrielle Rogers. All rights reserved.